This annual book was first published in 1961 and since 2007 TextoGraf Publishing Company is the publisher with Jonas Hedman as the editor. The first half of the book includes articles (in Swedish), pictures and results. Among others from a lot of championships – Worlds, Euros, Scandinavian championships and Swedish championships for seniors as well as juniors and youth. The book includes complete results from the Olympic Games in Beijing and the World Indoor Championships in Valencia. The last 200 pages includes stat – world outdoor top 50 year and all-time-lists, top 25 Scandinavian year and all-time lists plus indoor top tens. And record lists: World, Europe, Scandinavia and Sweden. 406 pages, 170x240 mm, 145 pictures, hard cover. EUR 56 (537 SEK) within Europe (including postage and shipping). Jonas Hedman (born 1972) is one of the most distinguished Swedish track and field experts. 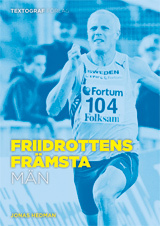 He is editor of the Swedish track and field magazine Friidrottaren (published six times a year) and contributes to several publications and web sites on a regular basis, among others www.friidrott.se. Jonas has also been published in Track&Field News, www.iaaf.org and www.european-athletics.org. 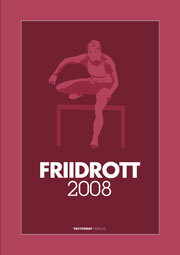 Except the annual ”Friidrott”, he has published four books about athletics.